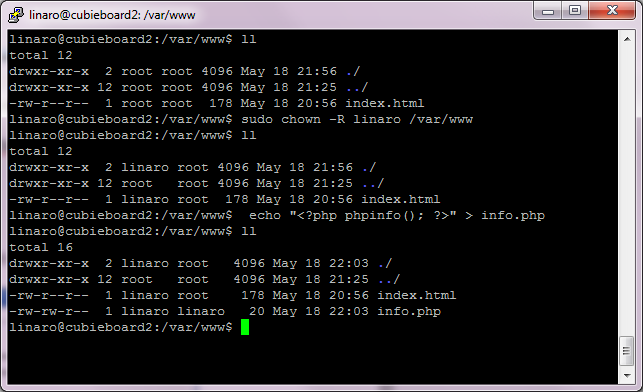 I executed the following steps to install apache with PHP on my cubieboard2 with lubuntu. Put your IP address to the browser (or localhost) and you see that Apache was installed correctly. Your www content is stored in /var/www. 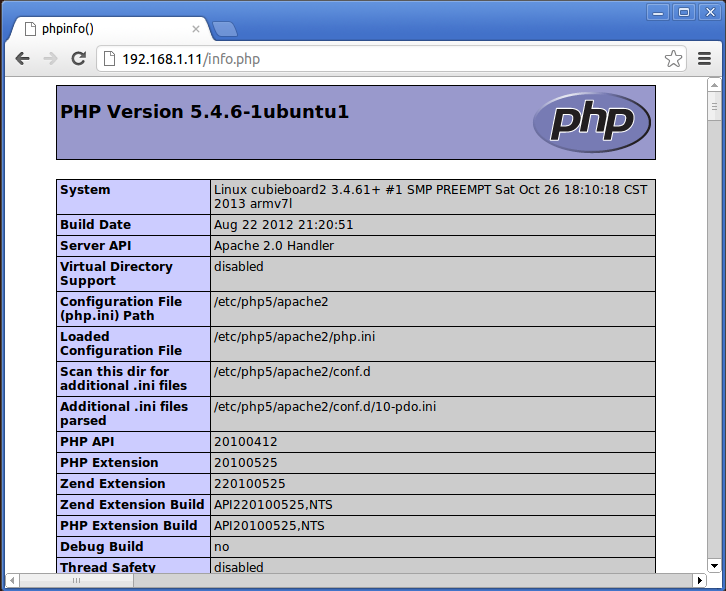 And final test of php in apache from the browser. No you can continue with adding sata hdd drive or settip up media server (or both). 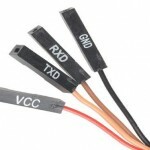 You can try to attach some hobby devices via serial (UART) or I2C communication. Apache is running under root user that is not so secure. Read the hints how to secure you web server. If I wanted also MySQL I would go for LAMP that you can install with sudo apt-get install lamp-server. -d = Turns on debug mode. In debug mode, no changes will be made to the logs or to the logrotate state file.